Engagement and the Global Workplace is a research focused launch event exploring the link between employee engagement and workplace satisfaction. Guided tours connect insights from the Steelcase Global Report to product solutions. 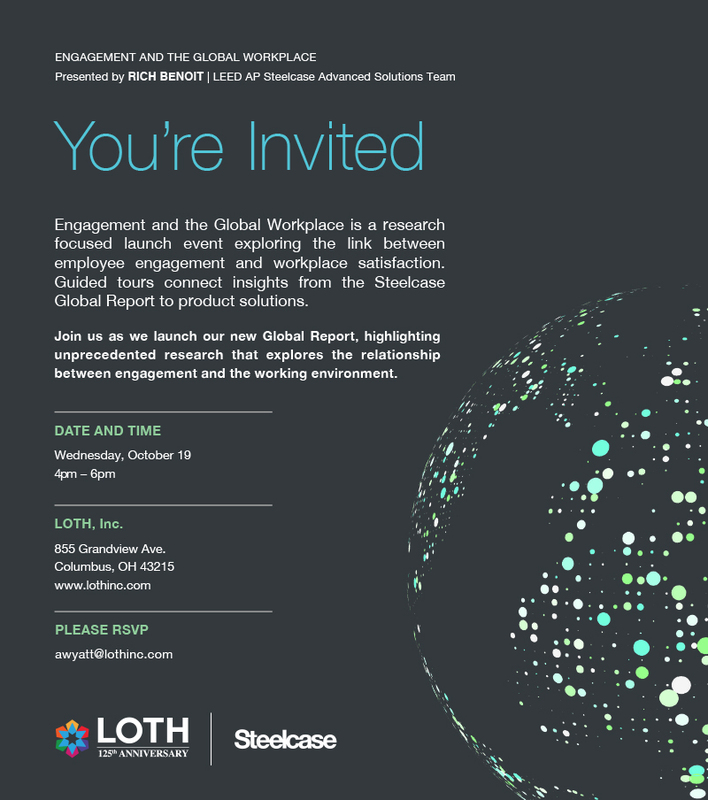 Join us at LOTH Columbus as we launch our new Global Report, highlighting unprecedented research that explores the relationship between engagement and the working environment.